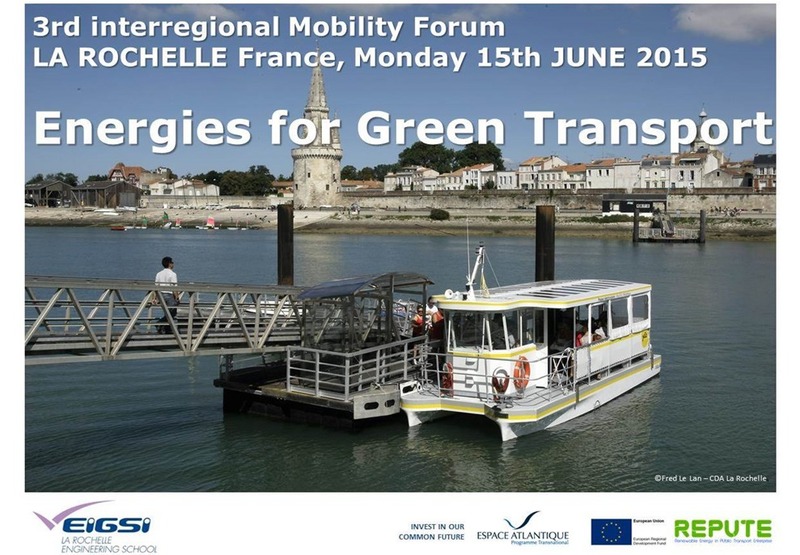 For the third year, the EIGSI General Engineering School of La Rochelle France is hosting a high quality forum focused this year on renewable energies and energy efficiency in public transport. It will provide insight to existing and future trends in sustainable mobility. It will blend research and visions with actions. The forum is a one day conference. This event is FREE of charge and is open to all stakeholders including regional and local municipality officers interested in sustainable mobility, elected representatives, transportation, energy, environmental actors and also tourism entities. 17 confirmed speakers, 80 to 100 attendees, 20 to 30% attendees from abroad. The conference will be simultaneously translated in French and English language and Forum participants will be offered lunch. To register or for any questions, further details or the agenda and practical information, PLEASE contact : Véronique SEEL Tel. +33 5 46 45 81 41 mail : veronique.seel@eigsi.fr. http://www.kyriad-la-rochelle-centre-les-minimes.fr/fr Be aware, 2 hotels in la rochelle Kyriad brand. From this hotel, you can walk to EIGSI (5mn) EIGSI has pre booked rooms at a special rate of 79€ per night, VAT included, breakfast not included. This special rate will be available until the 22th of MAY. Free shuttle to La Rochelle airport and railways station on demand. If interested, please email the hotel and refer to the“REPUTE project”: manager.larochelle.minimes@kyriad.fr or phone +33(0)5.46.50.26.60. Please note that the departure to Oviedo is going to be at this hotel on 16th morning. New in 2015 : a conference on the move ! The ATLANTIC AREA TOUR 2015, renewable Energy and Public Transport, co-funded by INTERREG ATLANTIC AREA, will be held from June 9th to 19th 2015. The tour is a conference on the move throughout the Atlantic Area. The aim is to capitalize on the knowledge and experience gained from this project and previous mobility projects. We are inviting all specialists in use of Renewable Energy in public transport to please come to any venue. The www.reputeproject.eu, promotes innovation and engagement in the efficient use of energy in public transport by means of information provision, enterprise stimulation, and policy change recommendations.